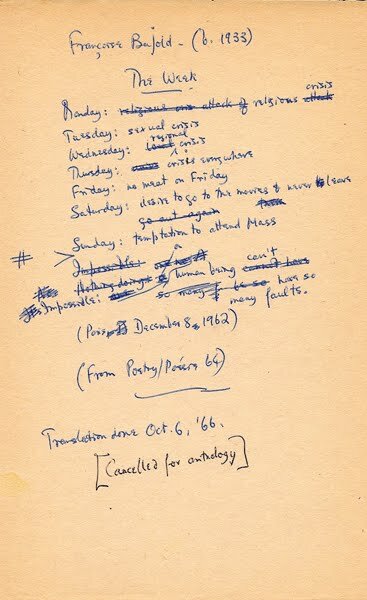 John Glassco's heavily annotated copy of Poésie 64/Poetry 64, edited by Jacques Godbout and John Robert Colombo. 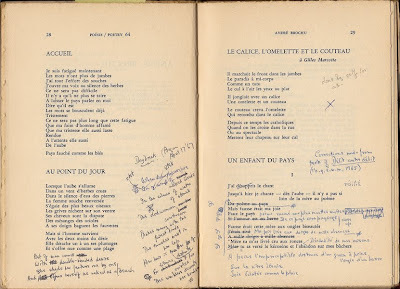 Published by Ryerson Press and les Éditions du Jour in 1965, the anthology was one of many volumes Glassco used in translating. 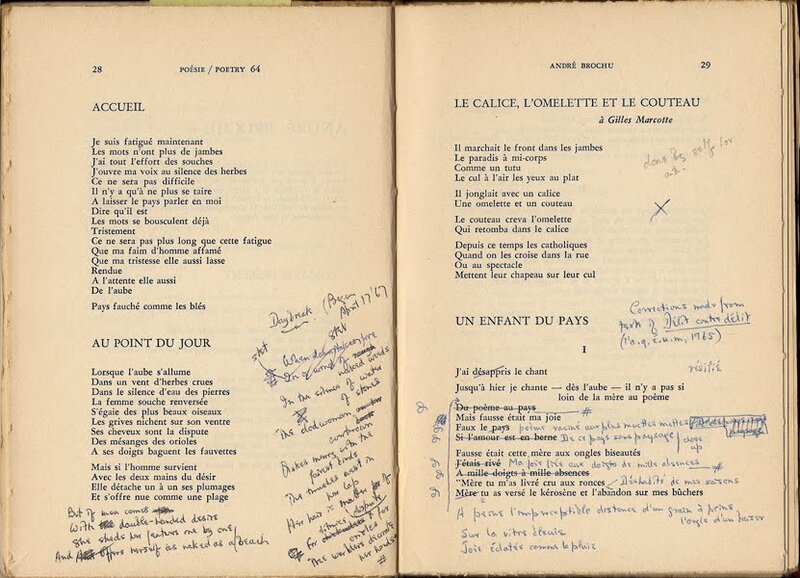 This copy holds a slip of paper on which we see his 1966 translation of Françoise Bujold's "Le Semaine". 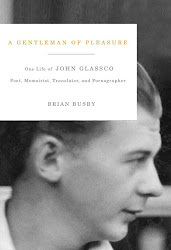 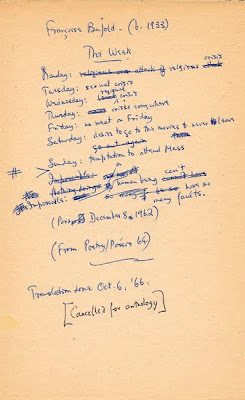 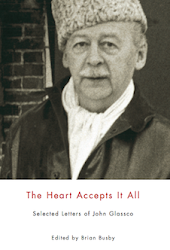 "Cancelled for anthology", Glassco has written – a reference to his monumental The Poetry of French Canada in Translation (Toronto: Oxford, 1970). 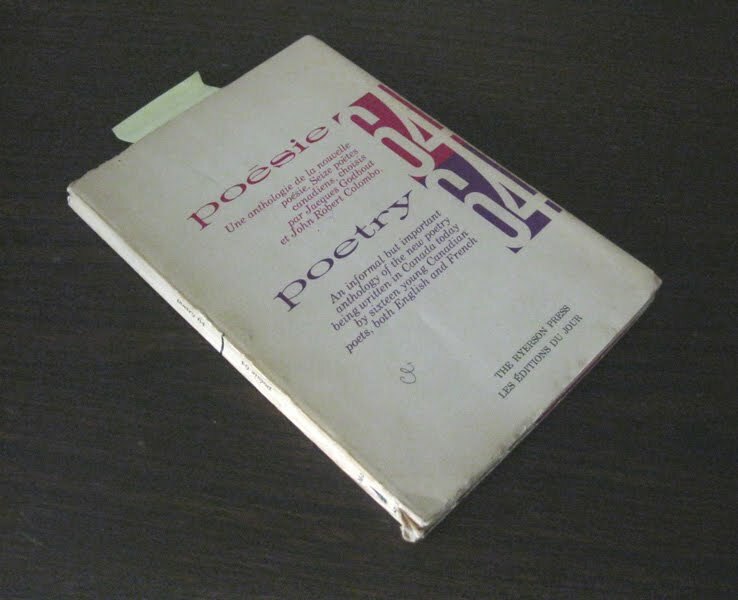 The twenty-fifth of thirty posts focussing on images not found in A Gentleman of Pleasure.